← A Reluctant Choice: Goodbye to R.A.
You know where this story is headed when young Mitch Sloan starts taking bets for football games in the halls of Jonasburg Middle School. Yes, it’s not long before the adults in that building shut down his business forever. Too bad since he’s good with numbers and has a great business sense. His slightly off beat parents seem to have neither as they work to make ends meet in their art studio. His brother is equally number challenged and more into playing on the high school football team. The charm of this story happens when Mitch stops being a bookie. He’s lost the friendship of Jamie (I. Do. Not. Have. A. Crush. On. Her. ), other kids in school despise him, and the trust of his parents may be gone forever. He takes his love of numbers and odds, using them in a positive way in hopes of winning back the support he lost. The story is told in Mitch’s own spot on 12-year-old voice and though not laugh out loud funny, the way he pursues life had me smiling. 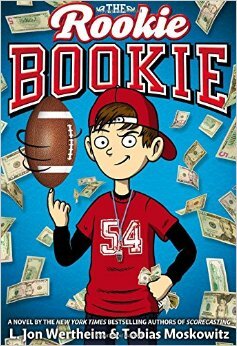 It moves along at a fast pace and is not really a sports book, more about a kid who likes sports. It’s an unusual collaboration between two authors who grew up together, both with a passion for sports. I enjoyed it thoroughly. FULL PLOT (From Amazon): New kid Mitch Sloan wants to fit in, but his nerdy love of statistics and making money isn’t winning him any friends in his sports-loving town–until he finds the perfect way to attain instant popularity. But running a football betting ring at school eventually turns sour, and Mitch loses the only real friend he’s made. He’ll have to win her back by using his brainpower for good and helping the school football team achieve victory–if they’ll listen to the advice of a former bookie! 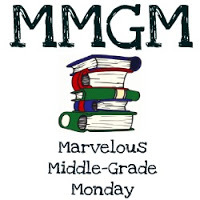 Math, especially statistics, can be a difficult task to weave into an MG book. The authors have succeeded in an interesting and understandable way. It’s also unusual to find behavioral science in a children’s book, and here even adults might learn a thing or two about the way we approach purchasing and advertising. I enjoyed the all too true to life situation where Mitch is the polar opposite of his brother and parents. He’s better at analyzing sports than playing them and his business sense is off the charts compared to his parents. The way this one ends, I smell a sequel. I’ll be the first one in line to read it. This entry was posted in Reviews and tagged L. John Wertheim, Middle grade, Middle Grade Book Reviews, The Rookie Bookie, Tobias Moskowitz. Bookmark the permalink. Excellent review. Great book for boys. Love how a Nerdy boy turns to mischief to become popular. This sounds like a fun book. I will have to check it out. Thanks for the review. I’ll read it just for the statistics stuff. That was a class in college I never got around to, and would love to read more about. Sounds like a great book! I really like that line you shared! And you always have books that sound great for boys. Thanks for sharing!